Friday Memes With Bubba Cat! That cat is a snitch! He is! He says that at his age he can do whatever he wants! Have a wonderful weekend Nia! MEOW! Thanks Speedy and Rachel! The second one could be my dad :o) I had no clue that he is a kitty :o) Have a great weelend! 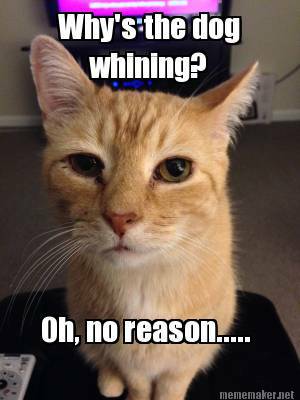 Bubba, you are a cute cat and I’m glad you wrote this post, no matter what Rumpy says. Hey, who’s side are you on here anyway???? Rumpy, could you take a photo of all the cats and identify them. June Buggie, Bubba, and Malachi all look alike and I get confused. Woo, woo, BJ Pup. it’s hard to get them all in one place, BJ. I will try. ‘Are you ready to feed me? 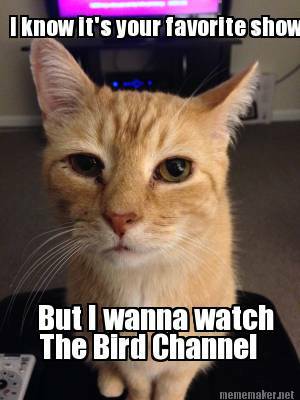 I want to watch the Bird Channel, too. 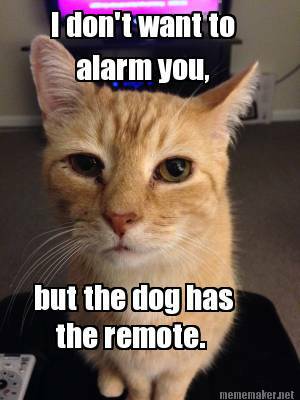 ….or the Cat Channel! Bubba is old and evil! Yep. That first one is PERFECT. Bwahahaha! I love the one about the bird channel.. And the dog having the remote ! Mmm, that cat knows a thing or two about how to live!